We’ll share snacks and beverages. Bring something to share if you like. Forgiveness is not an event, it is a process. Forgiveness is most powerful when a woman reaches midlife: a natural time for reflection. 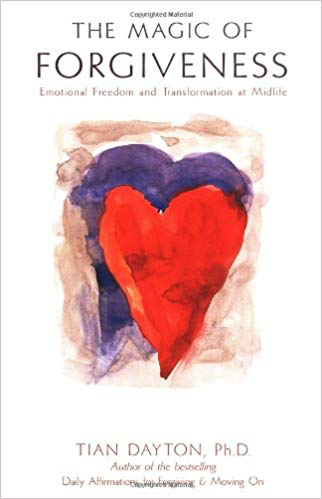 In this groundbreaking book, therapist Tian Dayton shows women how assisting their lives and forgiving old wounds is an essential to their well-being as proper nutrition and retirement planning.